The Covington Buccaneers have eight wrestlers still in contention at the district wrestling meet with four of those wrestlers advancing to the championship semifinal round. Cael Vanderhorst advanced to the semifinal at 113 pounds. After the first day of wrestling in the Division III District Tournament at Hobart Arena in Troy, the Covington Buccaneers currency sit in second place with 44.5 points in a very tight team race. The Buccaneers also have eight of the ten wrestlers still in contention for state births with four wrestlers advancing to tomorrow's championship semifinals. Returning state placer Kellan Anderson was the first Buccaneer to advance to the semifinals as he opened up with an impressive 53 second pin of Mike Reed of Versailles and then defeated Gavin Caprella of Lima Central Catholic 3-2 in the quarterfinal round. 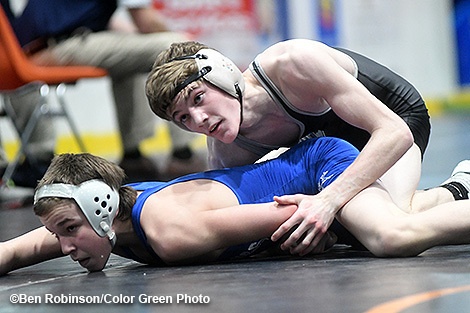 Anderson faces Matt Ellis of Legacy Christian in the 106 pound semifinal round tomorrow. Cael Vanderhorst, also a returning state placer for the Buccs, also advanced to the semifinal at 113 pounds where he will face Brian Chmielewski of Coldwater. Vanderhorst was dominant on Friday as he defeated Ethan Garver of Allen East via 17-1 tech-fall and then pinned Logan Artisan of Legacy Christian in 3:05. Returning state qualifier Keringten Martin is looking for a return trip to Columbus and he started off the competition with a 2:29 pin of Graham Farmer of Parkway and then defeated Jake Mumper of Roger Bacon via a 12-2 major decision. He will face Dalton Metzler of Adena in the semifinals at 152 pounds. 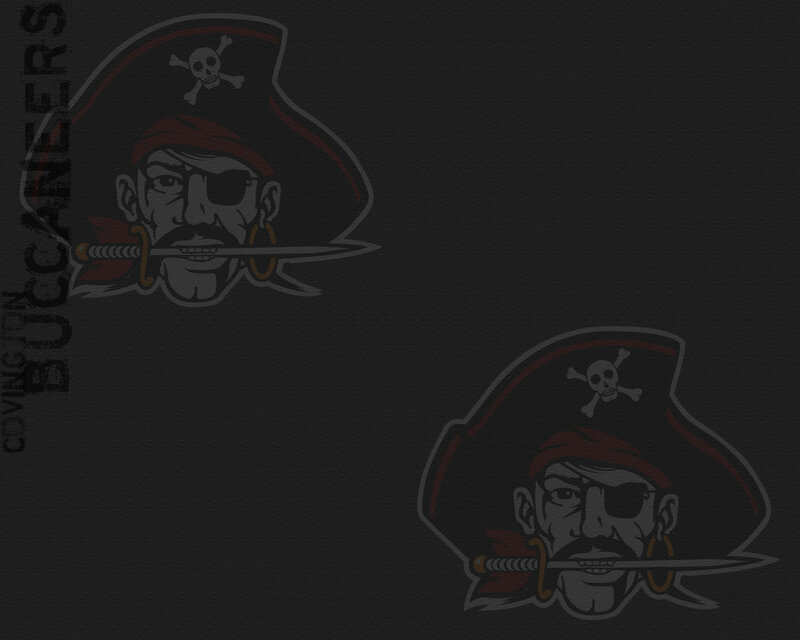 The fourth Buccaneer wrestler to move on to the championship semifinals was senior 182-pounder Gavin McReynolds. Muck earned a 3:07 pin over Steven Latchford of Blanchester in his opening bout and then recorded a very impressive 11-2 major decision win over Joshua Johnson of Greenon in the quarterfinals. Next up for McRynolds is a matchup with Danny Rosales of Ottawa-Glandorf in the semifinal round. Riley Richards is still alive in the consolation rounds at 126 pounds as he won a 7-4 verdict over Tyler Stoodt of Cory-Rawson before falling to Gavin Brown of Legacy Christian. He will face SeVaughn Carter of Lima Central Catholic in the opening session tomorrow morning. Also winning his opening match before falling into the consolation bracket was junior 145-pounder Austin Flick. He defeated Kameron Cox of Greenon 8-4 and then was pinned by returning state placer Joey Caprella of Lima Central Catholic in 46 seconds. Next up for Flick is a match against Ian Goodpaster of Deer Park. Sophomore 170-pounder Duncan Cooper pinned Ethan Knapke of Lehman Catholic in his opening bout, but dropped a razor thin match to Mark Wrasman by the score of 10-9 in the quarterfinals. Cooper was very close to gaining a reversal as time expired, which would have advanced him to the championship semifinal. Instead, Cooper will look to battle his way back through the consolation bracket beginning with a match against David Price of Clermont tomorrow. 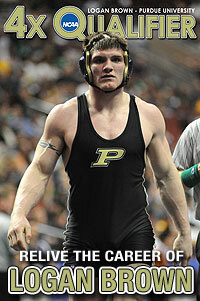 The final Buccaneer wrestler to advance to the second day of the tournament is junior 195-pounder Jesse Fisher. He opened the tournament with a defeat to Dakota Sargent of Columbus Grove, but rebounded quickly with a 4-1 win over Christian Stubbs of Blanchester. 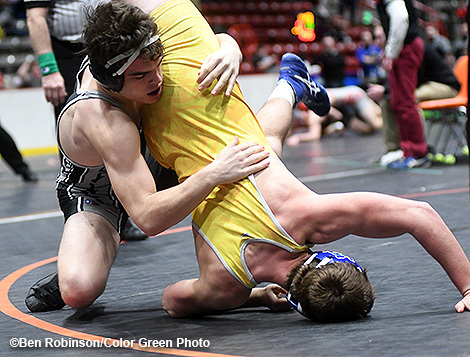 Fisher is matched up against Isaac Grilliot of Versailles in tomorrow’s wrestle backs. Two Buccaneer wrestlers saw their seasons end on the opening night. First, freshman Connor Sindelir was pinned in 45 seconds by Colton Robins of Reading, who was the champion from the Blanchester Sectional. He then fell via 2:39 pin to Nate Hoying of Coldwater. Sindelir ends his freshman season with a 20-20 record. 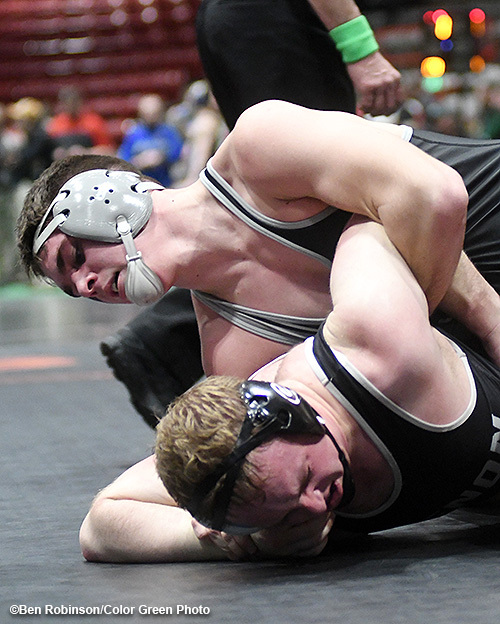 Lastly, Dylan Burns saw his season and career come to an end as he was disqualified from the tournament for biting his opponent, Josh Fink of Coldwater in the championship quarterfinal. Wrestling resumes tomorrow morning at 10am. Duncan Cooper works to turn his opponent of Friday at the district meet. Kellan Anderson holds on to his opponent in the quarterfinals at 106 pounds. Kerinten Martin works for a takedown on Friday at Hobart Arena in Troy.